The energy industry powers the world. Everything from our transportation, to our technology to our food supply relies on the ability of the energy industry to consistently function at its most optimal level. 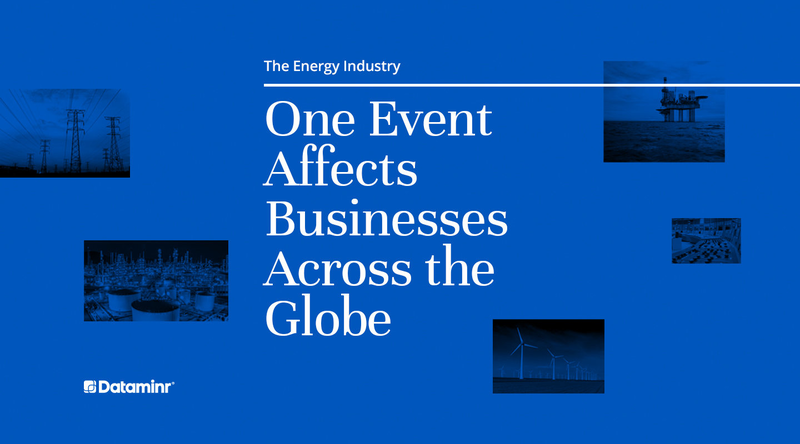 When energy service is impaired by a disruptive event, the resulting business impact is immediate, significant and widespread – both within the source company, as well as among organizations that rely on that company, operating in and around its orbit. While energy companies take every precaution to safeguard against disruptive events, they are an inevitability. Even with contingency plans in place for any number of potential crises that could arise, the most prepared organizations understand that the worst-case scenario, while highly unlikely, is simultaneously an absolute possibility – and they must prepare themselves accordingly. The first and most crucial step in managing any crisis is gathering as much pertinent and timely information as quickly as possible, and technology can make that process more easily accessible than ever. Access to real-time information has changed the information flow paradigm, particularly in times of crisis. News is reported on social media as it happens by on-the-ground eyewitnesses, often before the full extent of an event is known, let alone what its impact means. Staying apprised of this constant stream of real-time information is essential to the day-to-day functioning of companies within the energy sector. Perhaps in no other industry can one single event have such extensive cascading impacts across the world’s global landscape. Continuous, up-to-the-minute information is not a luxury for energy companies. In order to manage against the inevitability of crisis, and its ensuing fallout, energy companies must be armed with an arsenal of available information in real time. Such was the case on December 12, 2017 in Baumgarten, Austria, when a Pall Corporation employee caught a glimpse of a large fire more than 100 kilometers in the distance. The employee grabbed his phone and snapped a photo through his office window and posted a Tweet pondering if this massive explosion might possibly be a gas pipeline owned by OMV, a Vienna-based oil and gas company. He was correct. The ensuing fire and explosion that rocked Austria’s main gas pipeline hub killed one person and injured 21 others. Neighboring Italy’s industry minister soon declared a state of emergency due to a lack of gas supplies, causing day-ahead pricing to shoot up more than 215%, the highest ever for the Italian pricing. OMV stock also sold off on the Austrian exchange. That one Tweet served as the first domino in a chain of events spreading news of the explosion that not only impacted OMV, but also sent a neighboring nation into a state of emergency, roiled businesses across Europe, and set off a ripple effect on gas supplies throughout the region. 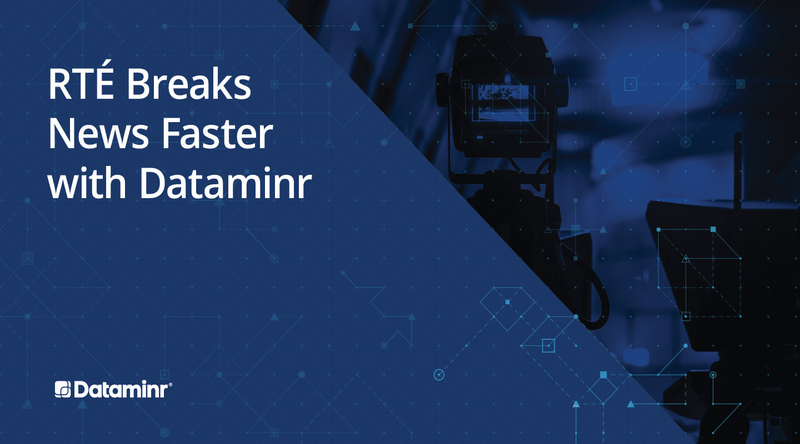 As the leader in real-time information discovery, Dataminr alerted clients to the Tweet ahead of both local and major news, and 90 minutes before the official company announcement. Dataminr provides clients unmatched insight and context on breaking events, detecting and distilling publicly available information to provide actionable alerts ahead of traditional news sources. Had OMV received access to real-time information in the midst of this major crisis, the time between initial alert and official company response may have been reduced, with tighter control of the ensuing chain of events that ricocheted throughout Europe. For all businesses intertwined with the energy industry, real-time alerts provide invaluable information for managing through even the most harrowing crises. The corporate security team of the affected company is likely the first to immediately spring into action. Once the real-time alert is received by corporate security leadership, the first step is to contact the employees on the ground to confirm the event and put into motion the safety protocol action plan for securing the area as quickly as possible. The communication cascade needs to happen simultaneously, with a spot report drafted as the information flows in, and shared with internal stakeholders – both within the security team and to other pertinent departments. Additional departments called into the crisis would include communications to prepare public statements, legal and insurance to examine liability, human resources for determining what type of care impacted employees may need, and supply chain logistics to identify alternate sources for required materials. Without the real-time alert at the outset, there would be an information lag, stalling all of critical first efforts that are crucial to taking charge of the situation and managing it effectively. Internal corporate security teams affected by crisis are not the only ones who should be watching. Every business potentially impacted by a shortage of this resource needs to learn of the event early to be first at sourcing an alternative, with the goal of minimizing the additional cost caused by a spike in demand. Competition is bound to get very tight, very quickly, but those with real-time information alerts are poised to be a step ahead of the rest. The communications department of the affected company needs to be quickly brought up to speed on the crisis situation, understanding as much information as possible about what happened, why it happened and the extent of the impact, both immediate and over time. Communications personnel must prepare a public outreach plan to promptly release accurate information. Quickly and clearly sharing information ahead of a sure onslaught of press inquiries is the key to protecting reputation and controlling the story. This requires developing official statements, holding press conferences, and sharing updates with journalists early and often as the situation develops and further details and potential impact are revealed. Having insight into public commentary in real time is an unparalleled advantage in this situation. Real-time information delivered to the computer screens of the communications professionals can help them be prepared with crafting the messaging that will most resonate with interested parties and also prepare for the types of inquiries that may need to be fielded from the press. On the other side of the fence, news teams need to move quickly to get the story into their outlet first. Being scooped by the competition is not an option in this competitive landscape. Journalists operate with a single mandate: report the most accurate information as quickly as possible. 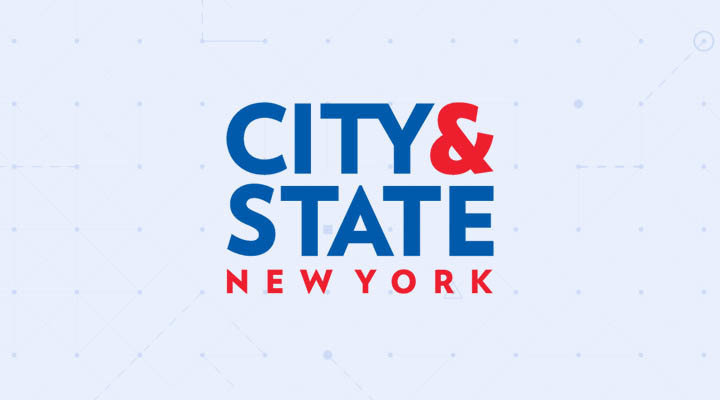 Hundreds of media outlets have already adopted real-time information alerting in their day to day operations, gaining value from tips shared on social media – and then served up by services like Dataminr in the form of real-time information. Once alerted to an issue, journalists need to confirm the event by contacting local authorities and then move quickly to dispatch a reporter or crew to cover the story on the ground. They will of course look to the affected company for a statement, and then write/produce the piece to be edited and finally published. With all of those steps in the development process, an early look into the event certainly provides a competitive advantage that may set one outlet far ahead of others. Whenever a crisis befalls an energy company, there is bound to be a negative business impact. Disrupted service means key stakeholders are left without the fuel they rely on and need. The operations and financial teams must work to ensure that the company manages the ensuing damage swiftly by preparing for costs associated with repair and rebuild efforts and determining how insurance and business continuity plans will affect the bottom line. Resources must be thoughtfully and appropriately allocated to mitigate as much loss as possible and eventually return to expected service levels. Collective and consistent access to real-time information, across critical business functions and processes, can help teams mobilize in a synchronized fashion to mitigate damage – in terms of safety to persons and assets, financial impacts, and brand reputation. From a valuation perspective, energy traders need access to real-time information to anticipate a supply shortage so they can buy and sell as appropriate, staying ahead of market reaction and providing the best guidance to clients in managing their portfolios with the fewest losses possible. It is not only the crisis that impacts the financial markets, but there could also be any number of data points unearthed with real-time information that could become a trading signal, perhaps even providing a hidden upside position, and thus elevating one house above its competition. Detecting breaking news allows energy traders to be the first to know of market moving information, enabling them to make rapid decisions that protect their industry positions. Because nearly every other business needs the energy industry in order to operate, there is no such thing as an isolated event. 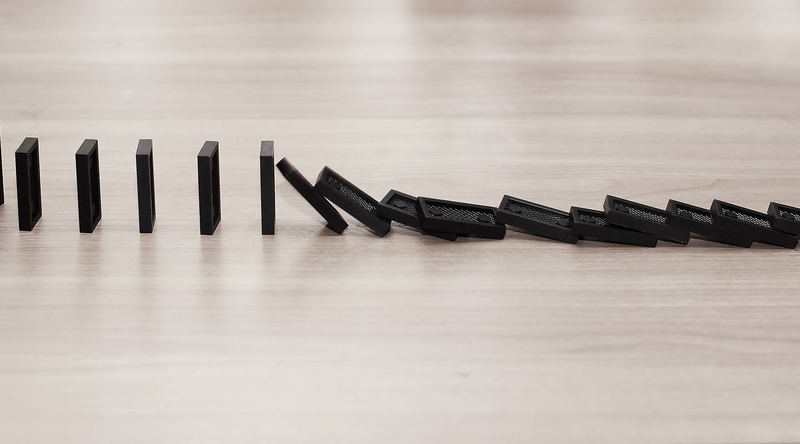 Therefore, crisis events trigger required response from multiple stakeholders across verticals and business functions, all of whom are majorly impacted with cascading and long lasting effects. When an energy company experiences a crisis situation such as the OMV explosion, real-time alerts are needed to help manage and respond both internally and externally. Learn more about the chain-reaction set off by a single social media post in the interactive experience from Dataminr.